If there’s one gentleman any Camaro fan would like to sit down with and pick his brain, it would be Al Oppenheiser. Oppenheiser has been the man when it comes to the Camaro, and the sixth-generation of the historic car has his finger prints all over it. We sat down with Oppenheiser during the 2016 Chicago Auto Show, where the 2017 Chevrolet Camaro 1LE made its debut in both V6 and V8 powered variants, and we covered a wide range of topics. Continue on to see what Oppenheiser has to say about the most capable Camaro in history. GM Authority: What has the initial reaction from sixth-generation Camaro buyers been? Al Oppenheiser: The first thing is, the ones that own a fifth-generation are telling us, “thanks a lot, now I have to make room in my garage for a sixth-gen.” The people that own both have said they immediately noticed the 200- to 400-pound weight difference depending on which engine they got. They immediately notice the light-weightedness, they immediately notice how much technology, and the biggest thing is they love the personalization. The technology has now allowed us to key up in tour mode or in sport mode. We can separate the steering feel and the suspension feel more unlike before, in the fifth-gen, you were always in tour mode and always pushing buttons if you were a sport guy. Now, you can pick your interior color, exhaust note, suspension and it’s personalized for you every time you get in the car. And your spouse can get in the car with memory seats and settings, too. So, the customer has really appreciated the fact we have listened to them, and they love that we’ve given them the opportunity. That’s probably the biggest comment we’ve heard. GMA: Is there any reason for the staggered launch of the turbo-four Camaro? O: Actually, the only reason is because the LTG is used for GM cars around the world, so it’s like a merry-go-round. When you want to step in, you have to do capacity planning. So, our turn is now. We actually started production of it a couple weeks ago. If you consider the launch of the Camaro with the coupe, and we actually start production of the convertible in the next week or so, it’s about a four-month launch to get us up to line-speed with the sixth-generation. It purely was just getting our turn at the capacity. GMA: Why the decision to only offer a six-speed manual in both the V6 and V8 variants of the 1LE? Why not offer the eight-speed automatic as well? O: Well, we’re trying to stay with the original theme of the third-generation 1LE. At that time, it was all about improving the brakes, so it could beat Mustangs and Dodge Coronets in the Player’s Challenge. Then, once you improved the brakes, you improved the fuel pump, then you had to improve your fifth-gear performance, then the suspension bits. And then it was all about removing content, so, in trying to stay true to the heritage, the manual transmission stays true to that. What I also don’t want to see is offering so many options that you end up having sunroof, automatic 1LEs sitting on dealer lots because nobody wants to buy them. I pride myself, and my team, on knowing our customer, and I think we have a winner with the manual. GMA: Does it surprise you to see dyno videos of the 2016 Camaro SS laying down more rear-wheel horsepower than the C7 Corvette Stingray? O: Yeah, it’s all good. I take it with a grain of salt. Chassis dynos vary all over the place. I have to stand behind the numbers we put through SAE, and our own dynos. 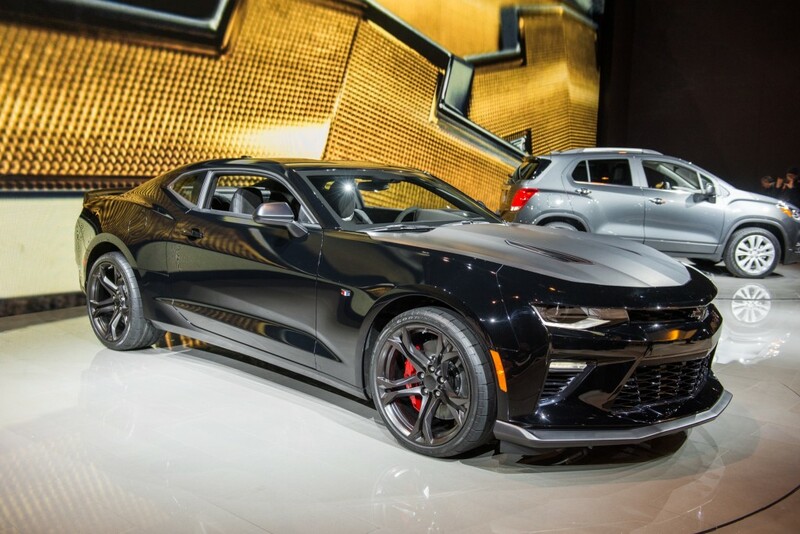 It kind of reminds me of back in the day when the Z/28 was actually pushing 400 hp and we didn’t advertise that. We’re not hiding anything from anybody, it’s just kind of funny. Maybe it’s not funny to my Corvette partners (laughs) but it’s still funny. I guess it’s all positive. I think it’s just chassis dyno variation. GMA: Will the Chevrolet Camaro always have a V8 engine? O: As long as I’m in this role, and everybody on my team is too, I want to see V8s last forever. My hope is we sell lots of Chevrolet Bolts and Volts and other cars so our overall CAFE average will always allow Tadge Juechter, my other friend Jeff Luke on Chevrolet trucks and myself to offer V8s, because that’s kind of in my veins. I understand life changes, but there’s nothing like coming home from a long day at work and firing up a small-block V8. Camaro’s audience is changing. With no big RWD sedans from GM anymore (Cadillac aside), more buyers are being pushed into Camaros. And it’s not just GM. There’s no question even Dodge is looking to shrink Charger and possibly do away with the RWD 300 as we know it. Automatics and improved suspensions matter to the customers who now have no choice but to consider Camaro. Because GM won’t build the car they want (RWD Impala, G8 GT, HHR SS, Sky/Solstice, etc). There isn’t too many options out there for what you are describing, but there are tons if you are looking for a CUV…. That’s the problem. There are a significant number of buyers who are turning to decade-old cars because the only alternative is a Dodge Charger or a Genesis Coupe. Hyundai sees this and created a brand new badge dedicated to this market – now there will be 3-5 Genesis models out soon. And you can bet the new G70 Genesis line will be low cost, sedan and coupe – RWD cars that gun right for these customers. The same people that want a large RWD sedan, don’t want a FWD CUV. If they’re being pushed into that market, they want an HHR SS (dead), Focus RS (not GM) or TrailBlazer (not sold here). And especially not in an era of sub-$2 gas, which the feds say is sticking around for awhile. Instead, they’re going to keep buying used. I’ll do a POR for a RWD, Alpha-born Impala for free for GM. Seriously, for free. Badge me, send me to Detroit for 90 days, put me in an extended stay hotel. I’ll do it for free. You’ve got engineers and b-school grads that see the market GM is missing here that much. Put the call out there, you’d probably get 30 (talented) people in a room for below minimum wage for 3 months. Well, there is a wonderful RWD car offered by Chevy called the SS and no one wants to buy it. That’s not fair and even Mark Reuss himself has acknowledged why; it’s priced too premium (as an Corvette-range Australian import), with only the most expensive engine option. It costs nearly double a starting Camaro. Putting it another way, I could buy three used G8 GT’s (same platform, LS2 V8 instead of LS3), for the cost of a new Chevy SS. All in great condition, too. Do you think people in Oz pay $50,000 for the starting price of that car? 40% discount, right off the bat for the starting model. Not once has the SS even gotten an adjustment for the much more generous exchange rate, either. Or offered with the pre-EPA, pre-CARB approved engine options being sold to police today (via Caprice PPV). 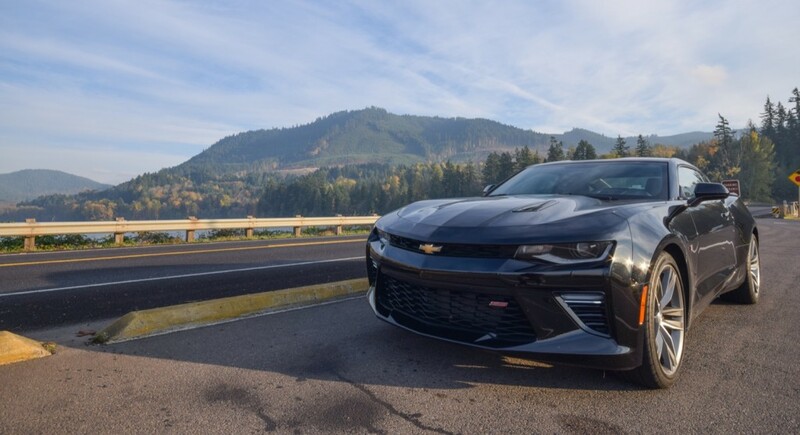 If you offered the Chevy SS with the same engine choices as Camaro, and priced it inline with Camaro (plus the premiums associated with a sedan), it would be flying off the shelves. I’d buy one tomorrow. The SS with LS3, MRC, HUD, leather sports seats and more costs $20K more than starting Camaro. A Camaro with 2.0T I4 and nothing else. Why are you even comparing the two? I can hardly believe a used G8 in great condition costs $15K. And even if they do, you could buy three used G8s for well equipped 2SS, a Corvette, Impala LTZ and so on. Where are you going with this? Commodore SS starts at little over 50K AUD, with today’s rate that’s about 36K USD, but when the SS was introduced both dollars were about even, and in late ’13 USD was even cheaper than AUD, so I think the car was priced right at $45K. Back then the SS was cheaper than Commodore. And today, why wouldn’t a manufacturer take advantage of favorable exchange rate? Everyone else is. Camaro SS starts at $37K. I think the SS with all the good stuff that it’s offered with, less the LT1, is a bargain at 47K . With these options somewhat equally equipped, price wise, it sits right between the Camaro and the Vette. Right were it should be. I didn’t bring up the SS comparison. The person above me did. Take it up with him. I responded to his addressing the SS by pointing out that people would be buying the Chevy SS, if there were cheaper powertrain options available domestically, much as there are in Australia – defeating his claim that nobody wants large non-premium RWD sedans, due to the SS’s poor sales. It’s just not true. LOL,it’s the same person you are replying to…Greg. That’s who brought it up to begin with. Chevy doesn’t even advertise this great car. Where I live in Connecticut only One Chevy dealer has one and it’s on order. There aren’t any to even test drive. For people complaining about cost they have to remember this car comes loaded. If Chevy thought there was a real market for selling these they would go beyond meeting their obligation to Holden regarding the SS. Too bad because I have read this car rocks. The unfortunate truth is cars like the SS aren’t big sellers and manufacturers don’t want to waste money pushing a low volume seller. My father wouldn’t sit in a Chevy SS… because there weren’t any for him to test drive. Bought a fully-loaded 335i for my mom instead. Begged him, offered to drive him to the dealership… but it was no-go. GM knows it is shutting down Holden, and wants to put its investments elsewhere. I get that. But it ingrains the false premise that a RWD Impala wouldn’t sell, very well today. No question about V8s. I want to see them in Chevrolet’s forever. I don’t want them to go Ford’s route, no way! They offer only one V8 in F150 and it barely gets any advertising attention, if any at all. I don’t want Chevy to go down the ‘let’s make a little engine perform like a big engine’ road. I want them to go down the ‘let’s make a big engine perform like a small engine’ path and keep improving the small block and keep the legend alive. The way of the future for RWD and V8 models will be higher and higher prices. Why? Well it is how companies can still sell them and limit their sales as not to damage the CAFE for the company. 53 MPH averages are coming and as of now they are not going to hit it. No one wants to stop selling these cars and the two they really want to keep viable are the Corvette and Camaro as they are the biggest sellers. But as you can see now the 1LE is now a V6 option and will see it in the Turbo 4 soon. There is a day that the V8 will remain to a point but you will have to pay through the nose for it. I expect smaller engines and more Turbo engines to replace them at some point. I would love a Camaro based 4 door as a new Impala. Make it available with the turo 4 and V6 with a limited SS model with the V8. Get the good out of it. Price the non V8 models much like the Camaro and it would compliment the Malibu line and not compete with it. The present SS is just a car that really suffered in the bail out. It was to have been here sooner but there were many other important project that needed done. Then the fact it has to be imported adds to the price. Also the fact that it is an old and heavy platform when GM is on a drive for all new and lighter platforms. While the Zeta was a great platform the new Camaro shows how much it has aged in this fast changing market. I have sat and talked to AL here. He is a great guy and a real car guy much more than most of you would realize. Chrysler right now is in trouble and just now getting some help from FCA. FCA should have been giving them money all along as they were the divisions that would have fixed their volume and money issues but yet they chose Alfa and it is failing. Ford has gone the tough love route and went 4/ V6 Turbo and FWD on all but one car. While they have done well I can see disappointment with some of the Ford fans. this is why i hope GM may at least consider a small RWD Alpha for Chevy at some point. Not sure they could make a business vase but you can always hope. The key is now they would want to sell 100,000 units for a sedan with RWD before they would even consider it. Could they sell that many? Some say yes and some say now. With sales of the others it is a mixed bag. Also how many Camaro sales would it take too. A lot to consider on this. Make a mistake and it could cost billions of dollars. I would also buy an alpha-based RWD type of sedan in a heartbeat. Like others have said, have the same options available as on the Camaro. What is extremely galling is that Hyundai has announced they will be producing a (Genesis) RWD sedan soon. Hyundai can do it, but not Chevy ?? WTF ??? The Buick Avista as a sedan and coupe is the best option. The premium marque allows for more realistic pricing and Buick is the perfect place to market such a white space model. The days of RWD Chevrolet, sans Camaro Ann’s Corvette, are forever over. Well the Genesis is already on the market but it is a low volume more expensive car. It targets Lexus more than Chevy. A Buick would be great. But I am not sure what other plans GM has as what we don’t know often controls what we do know. Pricing is the major issue at Chevy. Other than the cars already at or over $50K and the trucks GM is a value priced model. Once you get over $50K and away from a SS Camaro and Corvette they struggle at pricing. That is what Buick is here for. see How the small AWD Ford will do when it starts at $36K and goes well into the $40K range for a small hatchback. For sure it is a great car but there are even greater cars at that price. Pricing is difficult and cars are just too damned expensive for so many now. You price it too much and you are stuck with lease deals. Just look a the luxury segment as most of the BMW and Benz are leases not sold. People want to look like they have money even while they do not have enough to buy but only leases. Way to stay true to the Camaro heritage Al! It’s very reassuring to have someone in charge of the Camaro program understand the meaning of having a V8. I’d be 1st in line for a 1LE, but I’m going to wait to see if you guys come out with a 6th gen Z/28 with a wicked version of the LT1. If not, I’m getting a 6th gen ZL1. I hope I can be patient enough to hold out that long. Also, your customers want an orange camaro! Will it be made in right hand drive please ? With the Camaro shrinking and the SS on its way out the door, the prospect of getting an affordable RWD/AWD vehicle that’s comfortable for people 6ft and above is getting slimmer. I hope GM uses the lessons learned from the Omega platform so their upcoming performance vehicles will be roomy AND lightweight. GM has options if Bernie Sanders (somehow) gets elected. A TTV6 SS is one choice. That’s good for 420 horses, matching an LT1 V8. Really the problem is price. A 2LT V6 is now over $40,000. It’s within a grand of Cadillac ATS with the same V6 engine. And trust me, the ATS may not look as stunningly muscle – it’s worlds more comfortable as a daily driver, with the same platform and sport credentials. I just want to know what happened to the 80’s model camaro and the power plant they put in it.